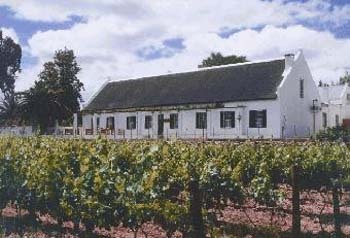 Calitzdorp is widely regarded as the centre of the port wine industry in South Africa and boasts several major wine estates famous for their award-winning products. Calitzdorp is located within a natural basin surrounded by a number of large mountains - to the North the Swartberg, to the South the Rooiberge and to the West the Gamkaberg mountains. It is part of South Africa's smallest winemaking region - the Klein Karoo, whose plantings account for only 3% of total vineyards. The poor, well-drained soil is particularly accommodating to plants that thrive in dry weather, including the Port blend grapes Touriga Naçional and Tinta Barocca, and the area has often been considered the Douro Valley of South Africa (the Douro Valley in Portugal is the traditional home of Port wine). 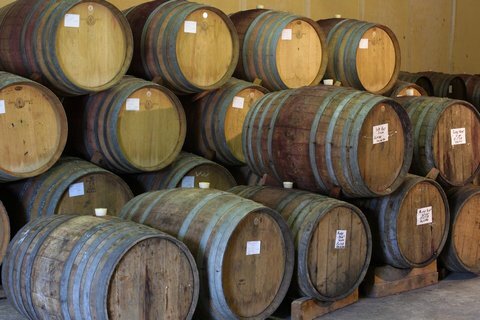 The very dry climate does not suit most wines, but the Calitzdorp district has found a way to produce internationally recognised fortified wines and red blends of the highest quality, which can be comparable to the wines of Portugal, or may resemble Brandy or Cognac. 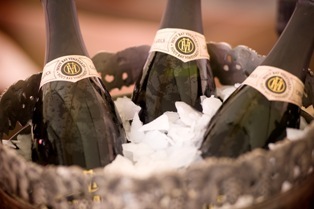 Local port wines are a blend of internationally recognised varieties to enhance aroma intensity, depth and complexity. They also produce very interesting quality red wines that are full-bodied with a deep red colour, as well as some of the best Muscadels in the country. The Calitzdorp Port Festival takes place in the town in mid-June each year. The exciting and diverse programme of events is centred around the historic Calitzdorp Station as well as various wine cellars and village venues, and is hosted by the 8 wine cellars of Calitzdorp (Axehill, Boplaas, Calitzdorp, de Krans, Duswaroo, Peter Bayly, TTT and Withoek).